Are Girardi And Cashman Both The Most Underrated At Their Positions? Brian Cashman, and Joe Girardi. Both their names run synonymously with the Yankee franchise. If you talk to fans all across Yankee Nation they will tell you they either love or has both of them. Probably, finding that they are more hated than loved in their own city of New York. Joe Girardi has managed this Yankee team to within 2 games of a playoff position. Regardless of what anyone says this is not a baseball team that profiles to be in this position. On April 5th the Yankees opened up at home against the Astro’s. Their third and fourth hitter that day would be Mark Teixeira and Alex Rodriguez. Fast forward to where we are now, and Rodriguez has been released. Also, an ineffective Mark Teixeira spends a lot of his time on the bench now behind a surging Tyler Austin. The tag team that propelled the 2015 Yankees to the playoffs combined for 64 long balls and 165 runs batted in, they combined for just 20 home runs and 47 runs batted in this season. That is a loss off 118 runs from the previous season. With that being said you would assume that meant that someone stepped forth and took over their role over the course of the season, but that didn’t happen. The Yankees sit at 20th in the league when it comes to runs scored, 18th in batting average, 21st in on base percentage and 19th in home runs. All of these are major offensive categories, and the Yankees rank in the bottom third of the league in every one of them. Well, at least Girardi has been able to rely on his pitching. Actually, that’s not true either. Even with the Yankees super bullpen from early in the season the Yankees come in with the 18th worst ERA in all of baseball, and they have allowed the 6th most home runs in the league. They also rank 18th in quality starts. This once again puts the Yankees in the bottom third of every major pitching category in the league. Girardi has also been no stranger to adversity. After starting the season 9-17 the Yankees have balanced the ship and got themselves back in striking distance. That is also not the only adversity he faced. Girardi was forced to manage all season with a short bench as Alex Rodriguez couldn’t play the field. He was also faced with the distraction and critiquing of everyone on how much he should, or shouldn’t have been playing A-Rod. Girardi has managed his way through everything and has this Yankee team and the Baby Bombers right in the thick of the race with just over three weeks to go. The fact is we are always going to disagree with certain decisions made through the year. It’s safe to say that everyone goes crazy over some of Joe’s decisions and that is fine, but you can’t place all the blame on him for that and give all the glory to the players while they’re winning. 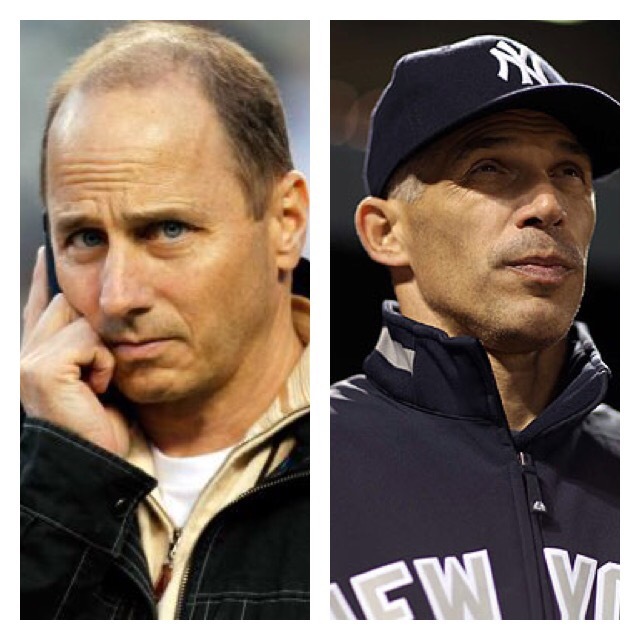 Girardi was faced with something that no manager in a Yankee uniform has had to manage through since 1989. He has managed through a rebuild and lost his top producers; however, Girardi didn’t admit defeat, or give up on the season. Instead, he was mocked and laughed at when going into August he said the Yankees were playing to win, and that they believe they can make the playoffs. Joe has been a leader for this courageous team and has managed this stretch of games lately almost flawlessly. Again, not everyone is going to agree with Girardi’s every move, but throughout the course of the year a lot of factors contribute into games that no one knows about outside of the team. Sometime there are reasons for certain moves. While he certainly has had a tendency to over manage in the past, one can not take away his accomplishments that he has made this season and keeping the Yankees rich winning tradition alive. He believed in this team when no one else did. Brian Cashman has also played a crucial role in the Yankees youth development over recent seasons. He has also maintained a team capable of competing during that movement. Something that most general managers struggle with. Cashman has never been given credit because he has the largest checkbook in the league, but when you are pressed to put a winning team on the field every single season you will make some unpopular decisions as a result. Let’s not forget that the Yankees ownership is very much involved and there have been a lot of decisions made that he was forced into. Consider that Steinbrenner was the key negotiator in the Alex Rodriguez deal, but Cashman has finally been allowed to manage the team correctly and he has done so with great results. Cashman started the rebuilding process as soon as Jeter’s last game was over. He traded Shane Greene in a three team deal to Aquire Didi. Through that trade the Yankees gained an every day short stop with a good bat, and great glove. All that they gave up was Shane Greene who has struggled and been moved to the bullpen in Detroit. Cashman also made moves to add depth to a Yankee starting rotation that had a lot of question marks. He sent Justin Wilson to the Tigers and aquired Luis Cessa and Chad Green. Without either of them who knows what the Yankees would have done for starting pitching. The biggest thing of all though was that Cashman has been able to pull off trades like Adam Warren for Starlin Castro. Then, after he gets Chapman he turns him around for three times the amount they spent for him, and grabbed Warren back in the mean time. He has made so many great trades over the past few seasons some of them even get lost. Cashman has done something that is hard for anyone in this organization to do. He sold off super stars and started a youth movement. This season the Yankee farm system was ranked 15th in baseball. Some experts say they have the best farm system in baseball now. He has continuously made moves to get younger. He traded Ben Gamel so they could keep more talent and save some one on the 40 man roster; while at the same time he was able to get two young pitchers from the Mariners. He turned three players on their contract year, an elite reliever, a mediocre reliever, and a fourth outfielder and made the Yankee farm system the best, and deepest in the game. If that’s not enough for you he has done this while keeping the Yankees competitive. Cashman’s genius has really shined bright as they have stayed away from ugly contracts, and added a slew of young talent. The Yankees have stayed strong during all this. Look at how bad the Phillies got after their contracts and during their youth movement; however, Cashman has kept the Yankees relevant this entire time while he was rebuilding. The Yankees don’t look to trade young talent away anymore like they use to either. While we are all certainly entitled to our opinion on what he should have done, and when he should have done it. He has got the job done and he is looking to build the next great Yankee dynasty. If the Yankees stay this close. Without signing any free agents, and while selling. Cashman should definitely win GM Of The Year. He has the Yankee future looking brighter than ever. This is what Yankee baseball is all about. The top of the office is in line all the way down to Girardi and others, and they have given Yankee fans a future to be excited about. While still giving them a team they can be proud to watch. In my opinion there has been no better managing job, or general managing job done by anyone else in the league. I think Brian Cashman, and Joe Girardi have both been the best in their respective positions this year.